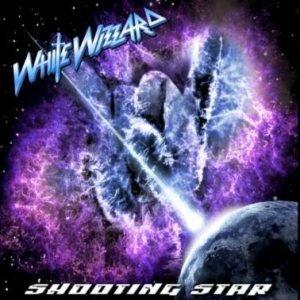 Hall of the Mountain King: Review: White Wizzard, "Shooting Star"
Review: White Wizzard, "Shooting Star"
So it’s been about six months since White Wizzard’s full-length debut, Over the Top, blew me away. It’s a record that will most certainly be near, if not at, the top of my year-end list. But much has changed for the band in those few months. They’ve lost a guitarist and singer Wyatt Anderson, who turned in a such a fantastic performance on that record. This single serves as both a tribute to the late Ronnie James Dio and the introduction of new singer Peter Ellis. First, the good news. The new song, “Shooting Star,” is most definitely a White Wizzard number. It’s an old-school, fun traditional metal piece that features everything I loved about the songs on Over the Top. Well, everything except Anderson’s vocals. There’s the bad news. I’ve listened to this song over and over, and Ellis’ vocals have grown on me a little, but I’m still just not really digging it. By and large, Ellis sounds to me like someone who would really, really like to sound like Bruce Dickinson, but just doesn’t have the chops. There’s something quite Spinal Tap-ish and a little hokey about his delivery at times. The new song is backed with a cover of Dio’s “We Rock.” It’s a faithful cover of the song, and I really don’t want to comment on Ellis’ performance here because you can’t do a Dio cover without a comparison to the original, and even some of the best singers will pale. So overall, I’m not quite preaching the gospel of White Wizzard with this release the way I was with Over the Top. It’s only one new song, and I like it. But Ellis will certainly take some time to grow on me, if he does. But with the revolving door in place in this band, he may not even be the singer by the time the next full-length arrives. On a very positive note, though, I’d encourage folks to pick up the single on iTunes or the vinyl version if you happen to be headed to one of their UK shows, as all proceeds will benefit the Children of the Night charity to help save runaways from prostitution, a worthy cause that Dio himself was very active in. Review: Spiritual Beggars, "Return to Zero"
Review: Firewind, "Days of Defiance"
Review: Kamelot, "Poetry for the Poisoned"